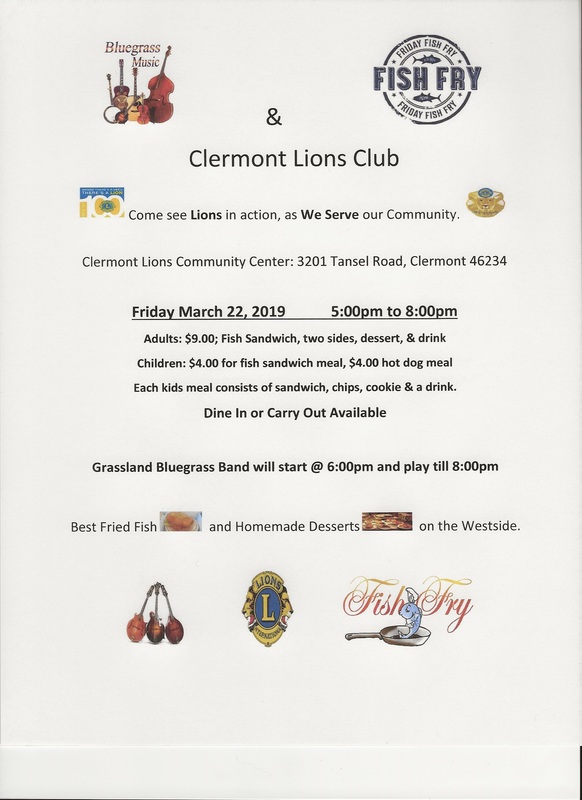 Clermont Lions Club will be having a Fish Fry Friday Night along with Bluegrass Music at the Clermont Lions Club Park located 3201 Tansel Road from 5 p.m. – 8 p.m. (music starts at 6 p.m.). Come out for some great fish and yummy homemade desserts while you listen to Grassland Bluegrass Band. See attached flyer for the details. Great way to spend your evening and help the Clermont Lions Club. Please feel free to share this with others who may be interested, I know that it would be appreciated.